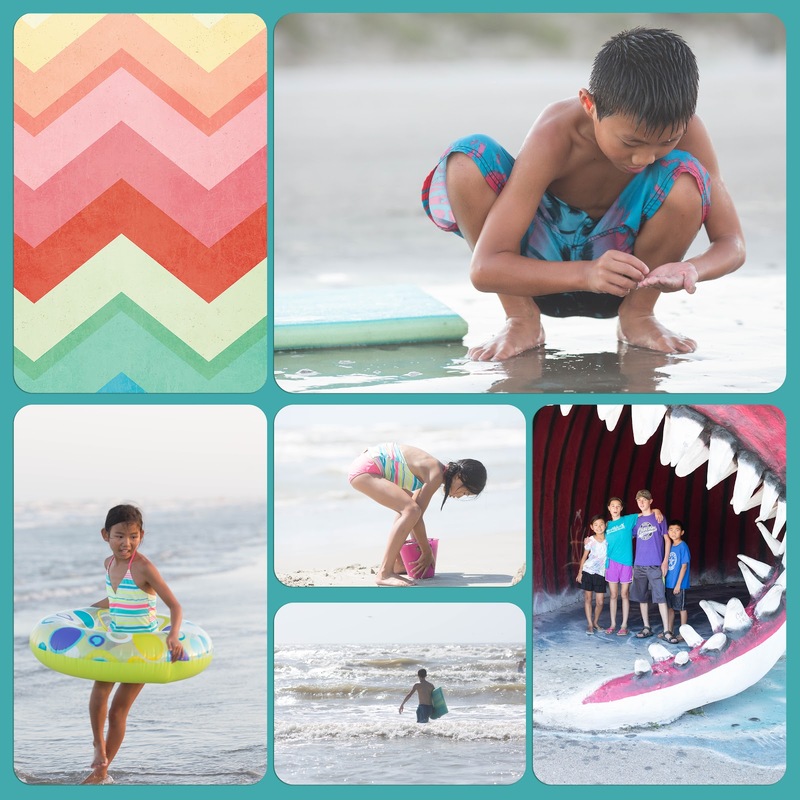 Life has gone forward but I still wanted to put at least a little of our beach photos on the blog. Seems like a long time ago now that we were there. Brian and I were talking about all of our fall schedules (!) 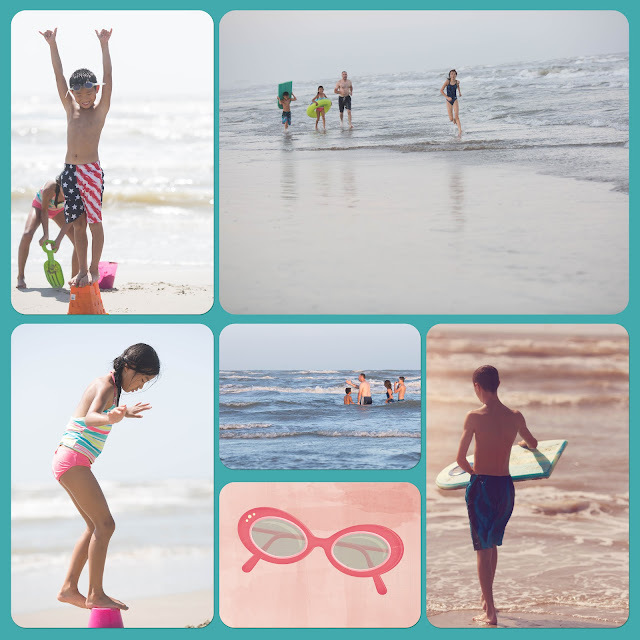 and wishing we were back to the calm beach. Seems like a lot more fun than trying to figure out all the kids and events that are upon us. We spent most of our days on the beach without any other destinations. Of course they had to stop at one gift shop and only the one with the big shark mouth would do. I have spent a great part of my adult life scrapbooking. I sold Creative Memories for a long time and have books filled with lots of detail and design. This summer I spent a week not sleeping trying to figure out how to get my photos, that I so love, into books. I decided some of my photos I will continue to do in a more fancy way but some are going to be done with "Project Life". It has been so much fun and simple. Simple to get my photos where they need to be in books with stories. Always good to change things up a bit...but then again that is what life is about! Getting ready for week two of school!